We would like to introduce our new prototype aluminum case - PC-A51 - before it goes into production. Let us know what you like and dislike, as well as reasonable changes you would make to this case, so that we can provide the best chassis possible. As a short overview, the PC-A51, comes from the same line as the popular PC-A05N. Looking at the many mods of this case as well as customer feedback, we have updated the design for today's users. 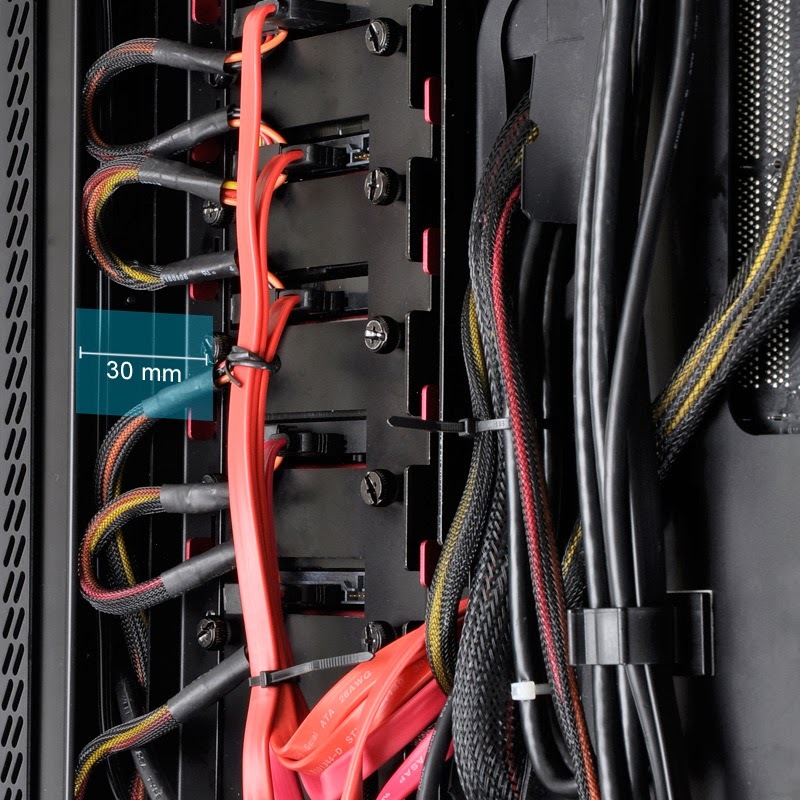 The PC-A51 supports 240/280mm radiators, has increased cable management with 30mm (1.2") of space behind the motherboard tray, and a new tool-less HDD bay system that allows for either 2.5" or 3.5" drives. As in the PC-A05N, the PSU is front mounted which allows the chassis to be smaller, and lets you can take full advantage of all space available. 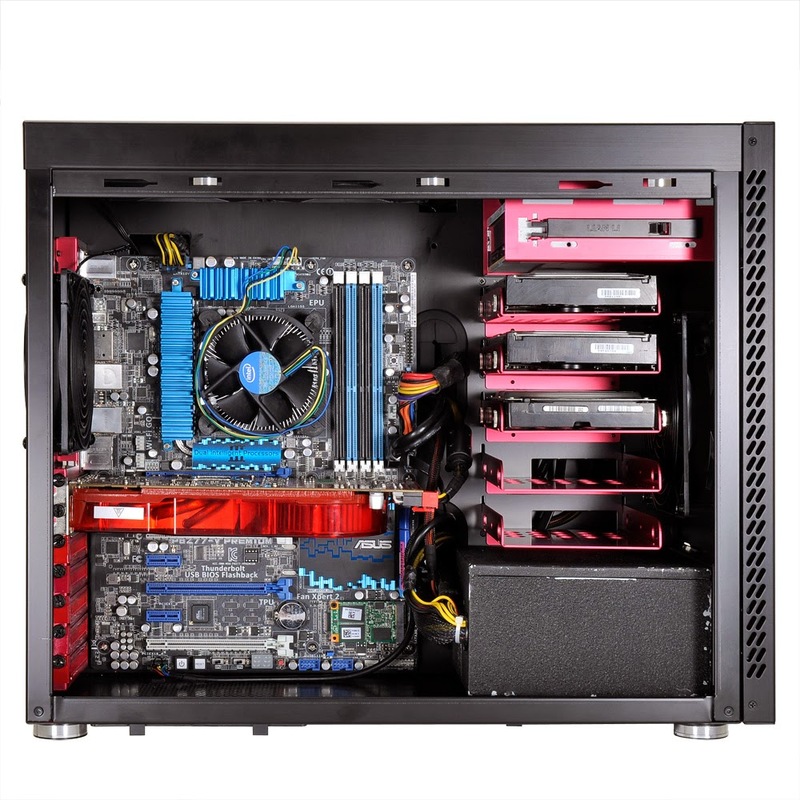 The windowed version of the PC-A51 has a anodized black and red exterior and interior making it one of our more aggressive looking towers, special edition chassis aside. Check out the photos below. We invite your comments. Last edited by Lian Li Tech; 11-29-2013 at 10:00 AM. The biggest problem I can see with this case is the lack of interior depth. 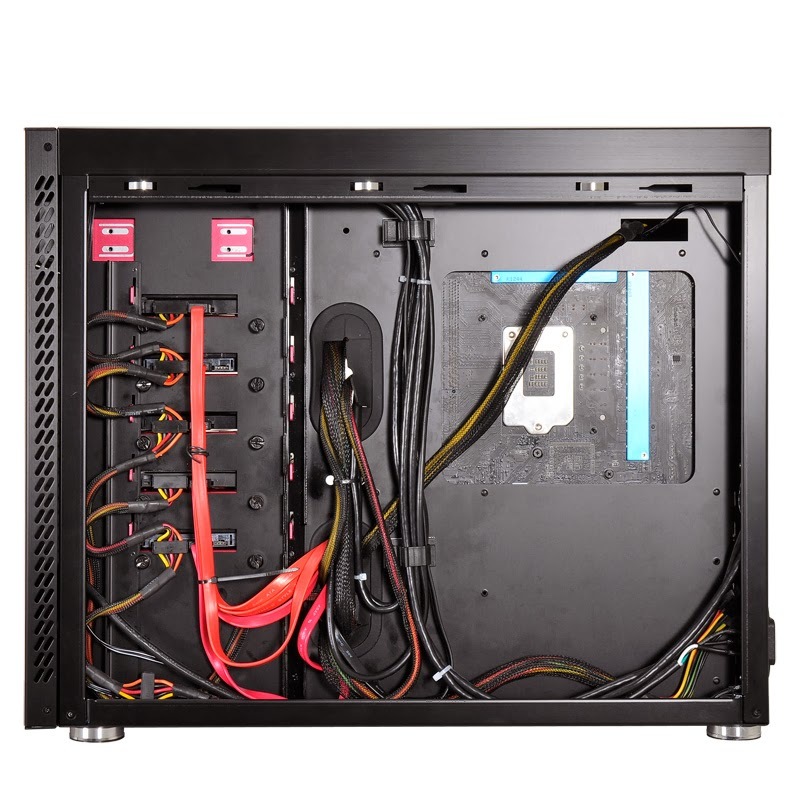 The case should be at least 2" longer than it is because most motherboards have SATA connectors parallel on the front edge of the mobo and seeing that the PSU is in front of the case, it would be a nightmare to try install SATA cables ( trying to squeeze them in between the PSU/PSU cables). 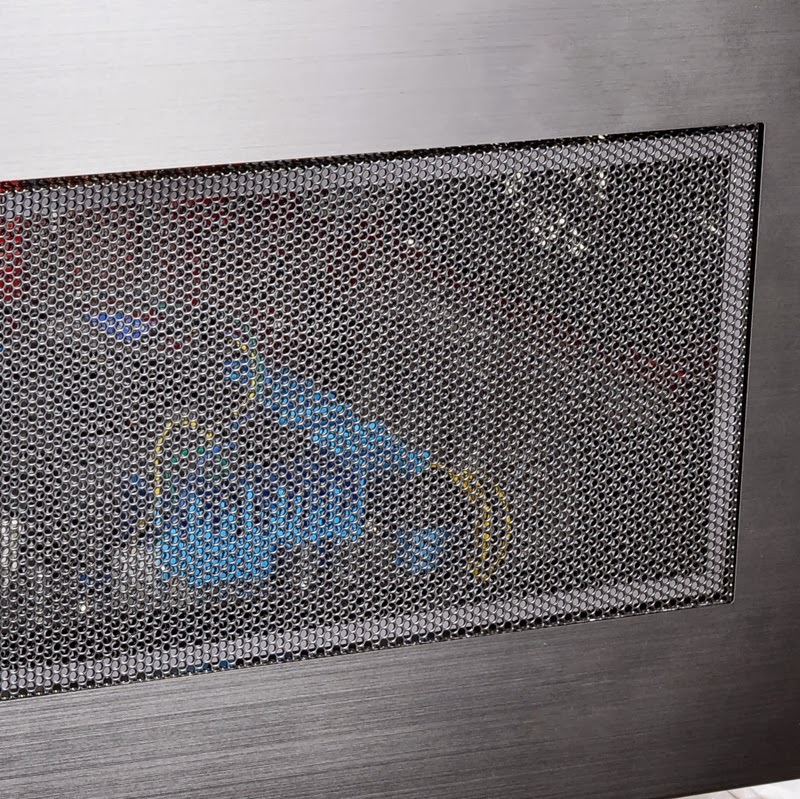 Also, hopefully the side panels will have THICK aluminum so that they don't rattle, especially when there are more than 2 HDDs and fans inside the case. 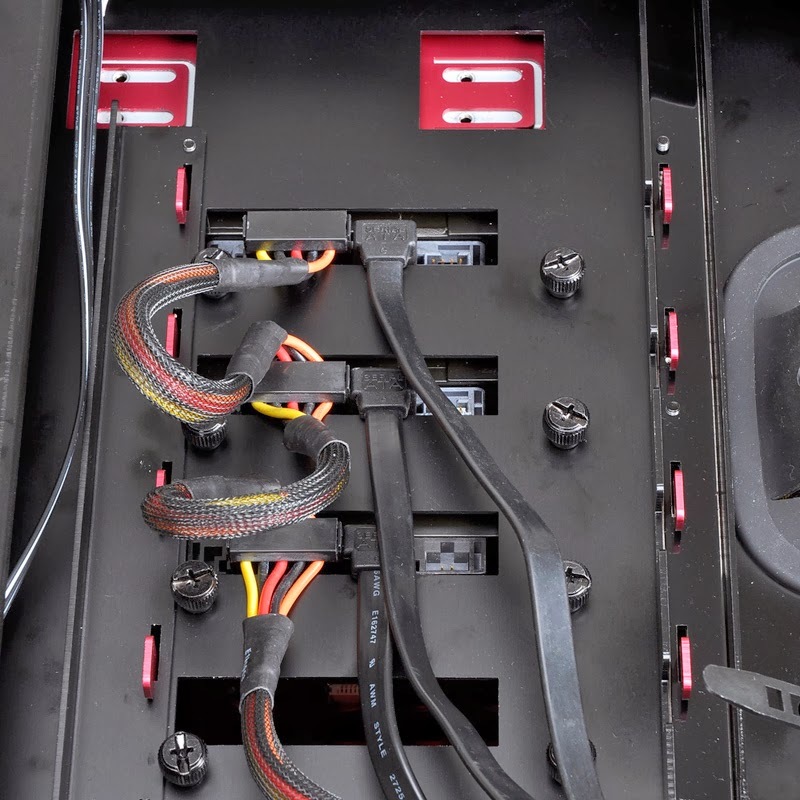 Even though the HDD caddy's have rubber grommet's, the side panels should be SECURELY mounted to the sides of the case, possibly with some kind of long groove/slot system. Looks like there are 3 notches on the top side of the case, but there should also be something on the bottom. I like the red accents, but I don't like windows - I like solid side panels. I like the 1.2" of space for cable routing. Only 1 external 5.25" bay is not enough. There should be at least 2. I personally only use 2.5" storage (SSDs & HDD) in my main PC, and these I prefer to put into a 4-in-1 caddy that fits 4 2.5" drives into an external 5.25" bay. I could care less about how much internal storage there is. I like the fact that it seems like all the internal drive carriers are removeable. The more modular the better as far as I'm concerned. 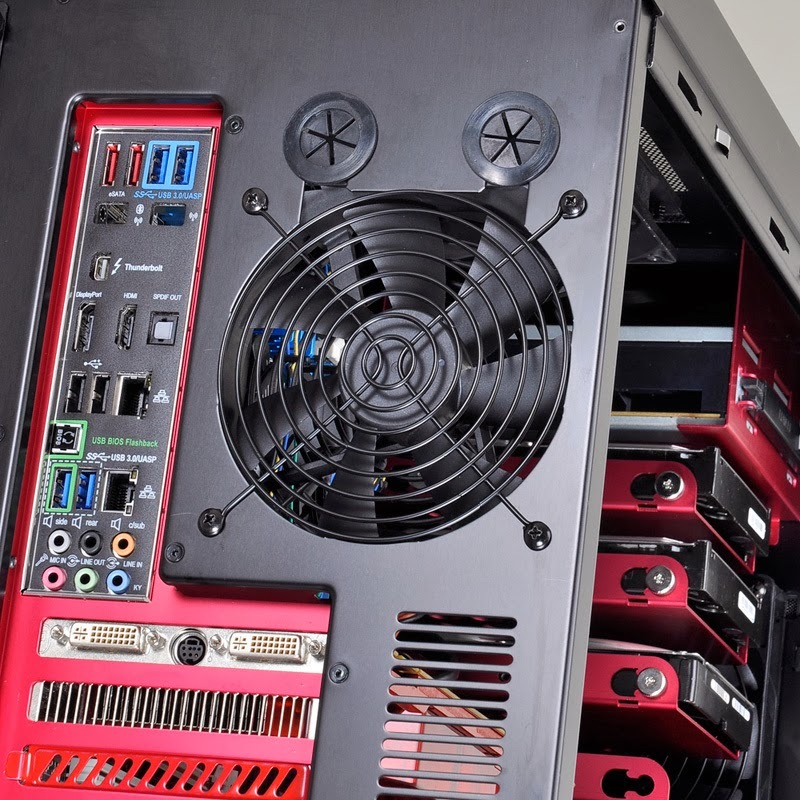 It would be nice if you could swap a 180 or 200mm fan into the front of the case since if you load it up with HDD's most of the cooling to the mobo/vid card will be blocked, which leads me to think the case should also be at least 1" taller. I love it when manufacturers ask for customer feedback for products. It allows them to make changes that really appeal the customer. Anyway, the case should be a bit taller so that the bottom I/O could be connected easily. Moreover, the case could handle two 120/140mm fan on the bottom and possibly radiator support too. 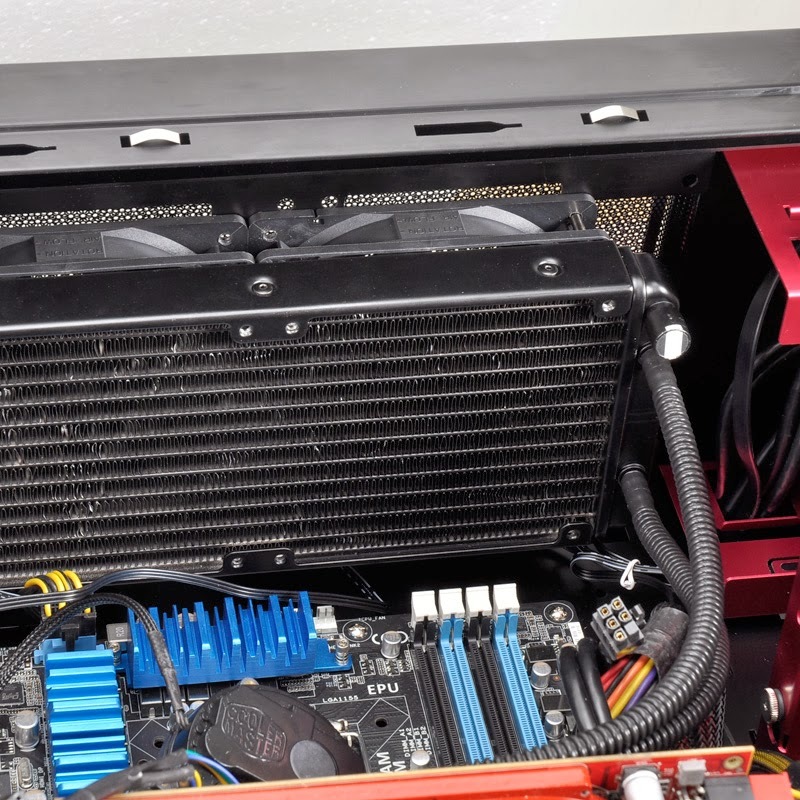 This would appeal to most people as many people want to use at least two radiators when they watercool their PC and also it would allow people to cool off their GPU using the bottom radiator. Make sure that if you include that feature, the holes for the fan mounts are off-set so that they do not interfere with the motherboard I/O. 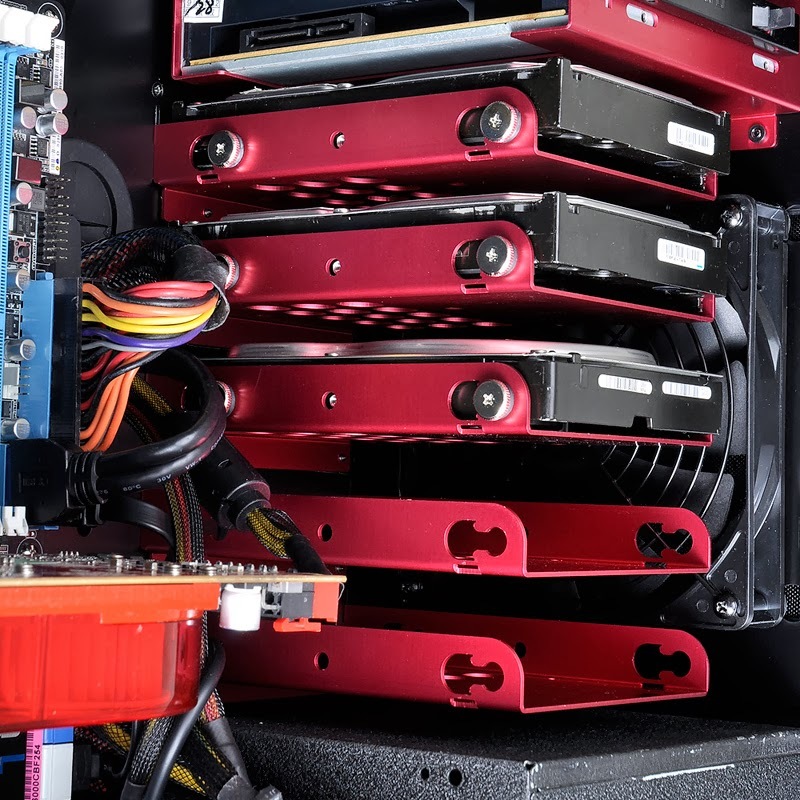 The red accent would be a no-go for me as not everyone in the world has all their components red accented, especially when there is a strong contender to it which is called blue and possibly gold in the recent times. So, I would suggest changing the red accents to white as that will be neutral for all the other components in the system. One 5.25 drive seems fine for me as the use for those drive bays have decreased except for accessories and reservoirs. Last but not the least, DUST FILTERS ON ALL INTAKES PLEASE. This also includes side panel filters. the psu placement looks funny to me?? 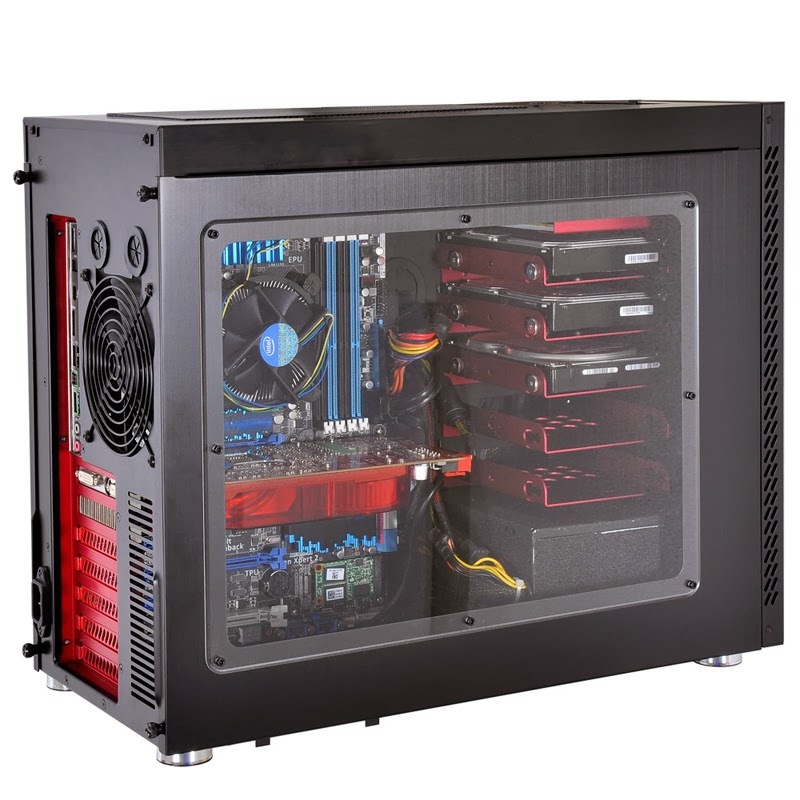 it exhausts hot air from psu into the case? 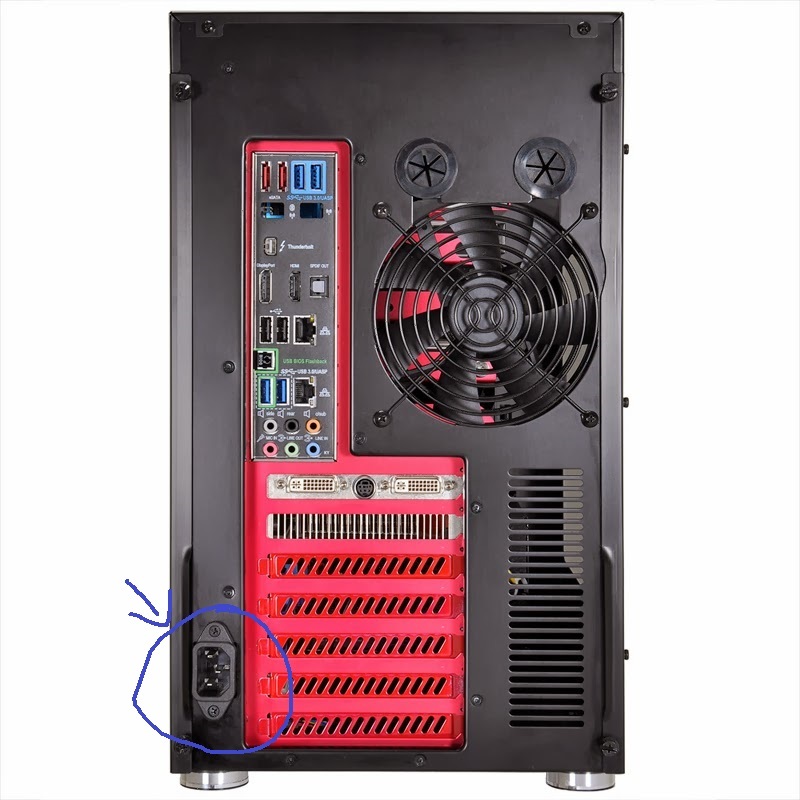 how are folks going to get on with switching on/off the psu if switch is on the back of the unit/inside the case? ohh and where does the wall socket power lead plug into the psu? As for the thermal design, actually the rear fan (which will have a filter) is the intake fan, while the front fan is the outtake. It has a reversed thermal design compared to most cases. 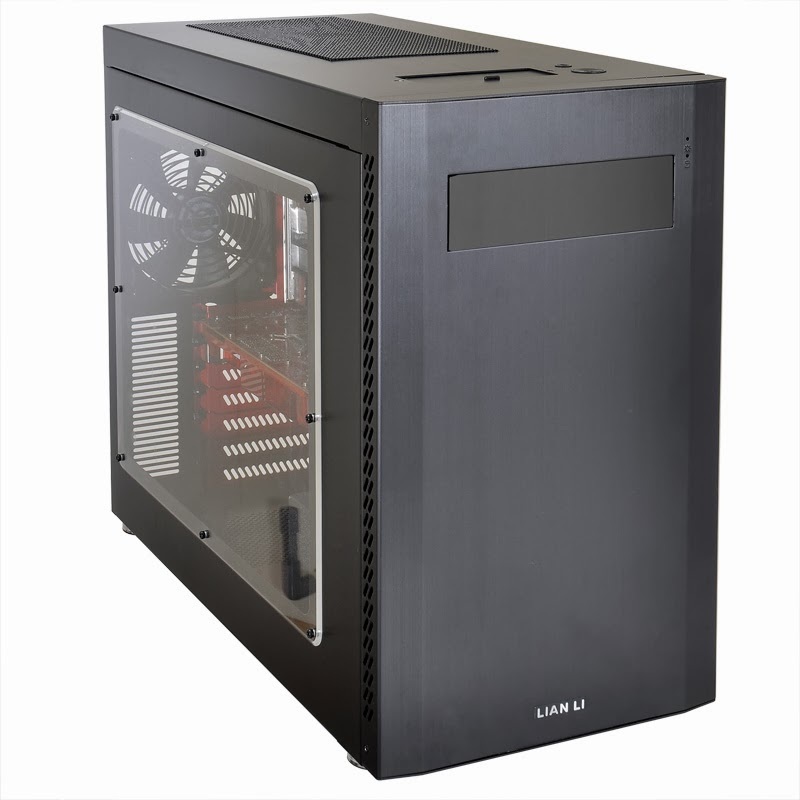 The PC-A51 has a reversed thermal design, so that the front fan and PSU exhaust air out of the front of the case. This way the warm air is not recycled back into the case. There is also a extension plug for the PSU that leads to the rear of the case. The socket is in the rear. As a followup to his question regarding the power cable, do you have more interior shots of the power supply mounting and the cable itself? I ran into a major issue with a previous build with a Lian Li case and a front mounted PSU, the cable included using an angled connector that was not the correct orientation to plug into my power supply. This forced me to shop around a very limited selection of power supplies as I could not find a cable that would would work in the cramped space provided. I think the whole back of the case should have vents, kind of like the slants it has already, and the rest of the case be solid. 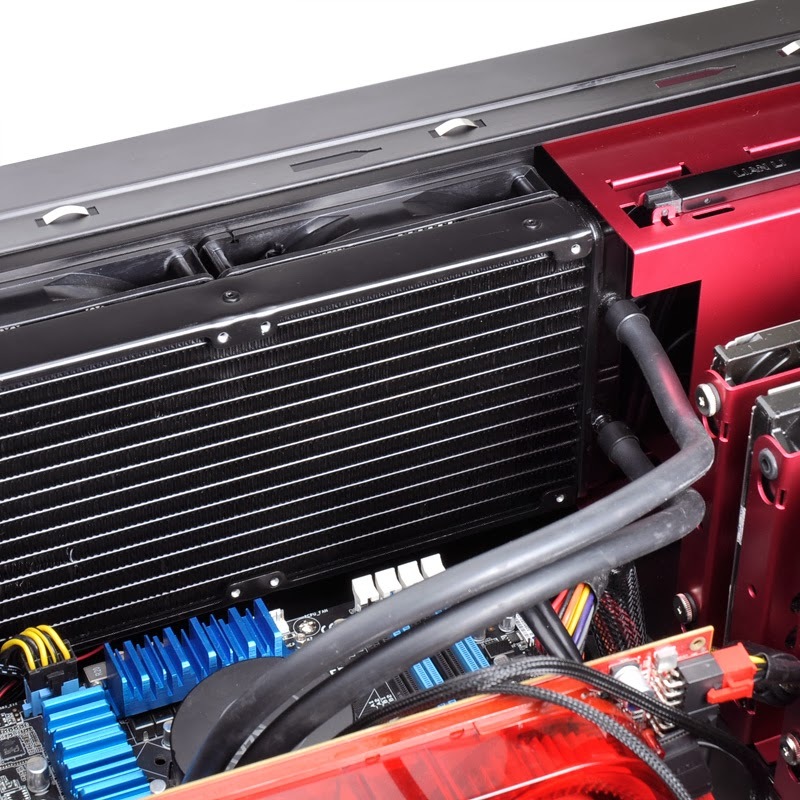 And it should have JUST USB 3.0, no need for 2.0. also how is the intake fan in the front of the case supposed to work if its practically blocked. Maybe even put the power supply in between the optical drive slot and the hard drive. just move the drives down to the bottom or make it so that you can mount 2 ssds on the bottom and 3 3.5" HDD in the racks. that way the PSU cables have a short way to go being that not all PSU have long CPU power cables. Maybe get rid of the 5.25" because less and less people are using internal optical drives, I have been using an external optical drive for years without ever installing an actual internal optical drive plus every computer I build for people I buy them an external optical drive as well not to mention they are very inexpensive now. Last edited by D1RTYD1Z619; 12-06-2013 at 03:42 PM.